Asus Tinker Board Support for hass.io? Yes using etcher as said by @cybergrimes. Regarding the emmc size, HassOS is currently using 18% with 2 snapshots (40Mb each) and 5 addons (pihole, samba, ssh, duck dns and Configurator). It has been running for 5 months now without any issue. By the way, my board has survived 2 power outages without any issue. No database issue and didn’t had to reinstall. Updated and got stuck booting. Could not reflash the emmc, was not recognized by pc as storage device. Have not had time to look into it, moved back to rpi for now. Any suggestions on how to get the emmc back? Plug the Jumper on the Maskrom mode . After finish the image flash, unplug the USB from PC and then put the jumper at the “no function” mode. Could not get the procedure to work. Flashed tinkerOS to sd-card. Then dd the hassos image to emmc from tinkerOS desktop. Up and running on tinker again. Thanks. I really want to jump ship from my pi to this but I feel I need things to mature a bit more. Looks so promising though. HassOS 2.9 is out. No more issues! Sorry for the basic question. I’m on a Pi3 with Hass.io. How would I go to HassOS on the TB? I don’t see a download for HassOS on the Home Assistant page. :beginner: HassOS Docker hypervisor. 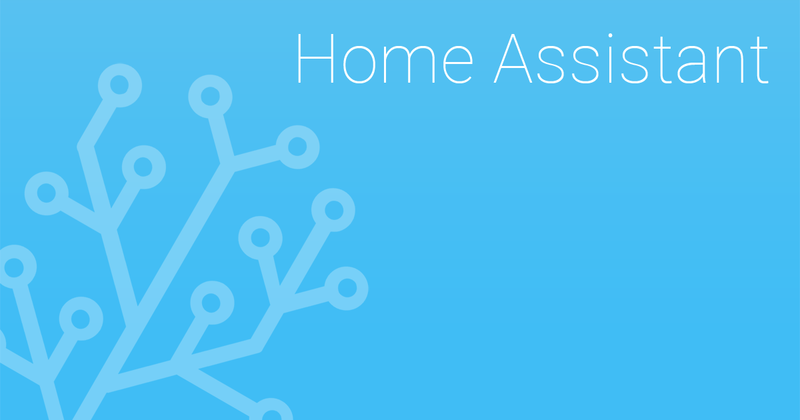 Contribute to home-assistant/hassos development by creating an account on GitHub. Thanks for the update. Now I’m considering the Tinkerboard S for the eMMC capability. It beats buying a high-endurance SD card and UPS for the Raspberry Pi to survive during power outages. I have a few questions though! #1 if you install Hassio on the eMMC, can Hassio use the SD card slot for expandable storage? Will Hassio detect the SD card and mount as \share? I wanted to store some music and use the Plex Media Server Hass.io addon, but with Hass.io limitations, it would only mount the Raspberry Pi’s SD card (where Hassio was installed). #2 Have you tested the wifi on The Tinkerboard S with Hassio? Can you configure the wifi settings using the Hassio instructions? #3 Does the Tinkerboard need an external antenna to get wifi working? I read through amazon.com reviews but couldn’t tell if reviewers were using the ethernet or wifi (without an antenna). Recently made the switch to a Tinkerboard S and installed on the eMMC. When I connected to my 64 bit Windows 10 machine USB <-> microusb on Tinkerboard S. The Tinkerboard S appeared as two drives on my machine, but balenaEtcher recognized it as one device and the Tinkerboard image found on the installation page. Mine has been up for a few days now the performance is like night and day compared to the Pi. Same, I’ve been running mine for 3 days now and it’s wonderfully stable. I was running a VM on a Windows machine, which was very fast, so it’s not up to that kind of speed, but much better than the pi 3. Its great to have hassio running on a dedicated device again completely independent of the server. It’s on a battery backup aswell for power outages which should keep it up for a few hours. The 16gb MMC storage is the key attraction of the tinkerboard, so I won’t have to worry about replacing microsd cards again. Anyone having problems updating hass.io? 19-04-14 16:13:11 ERROR (SyncWorker_4) [hassio.docker.interface] Can’t install homeassistant/tinker-homeassistant:0.91.3 -> 404 Client Error: Not Found (“no such image: homeassistant/tinker-homeassistant:0.91.3: No such image: homeassistant/tinker-homeassistant:0.91.3”). “no such image” is usually an indicator of a lack of space. You can check quickly using df -h in a console. Thanks, that was the answer. Too much crap on the emcc.